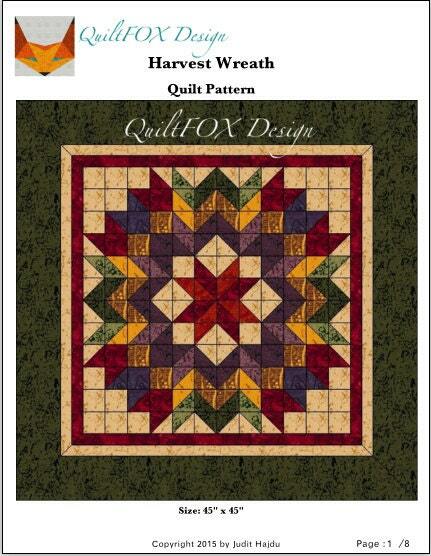 Quilt Pattern - Harvest Wreath - Wall hanging - 45"x45"
The pattern is a combination of a PDF file and an Animated Tutorial on YouTube. 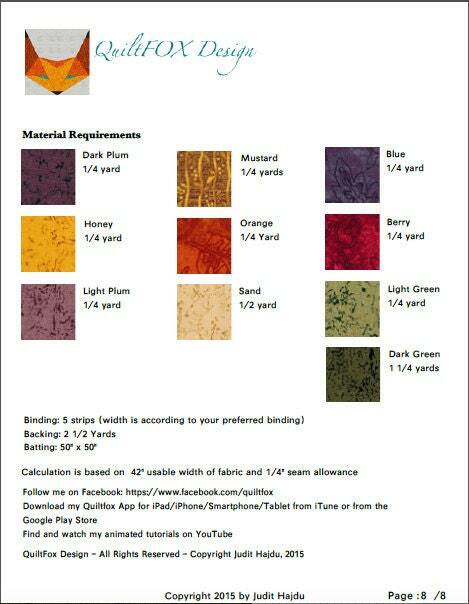 The link to the video is included in the pattern. This pattern makes it very easy to create this beautiful quilt within a short period of time with the Half Square Triangle grid method.